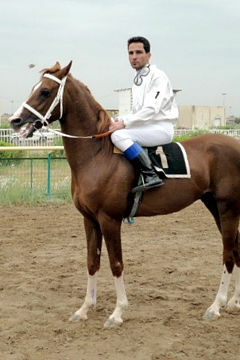 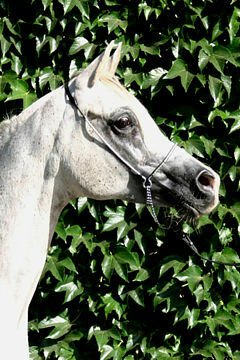 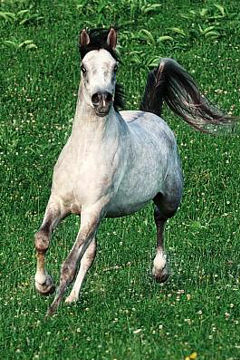 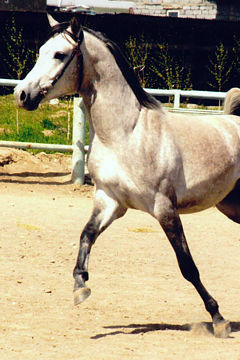 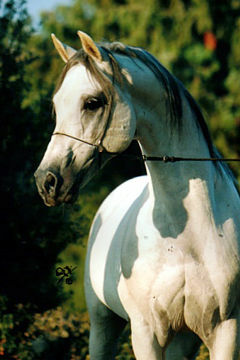 EL PEGAS, Bay gelding, *1995 (Sultan / Egina). 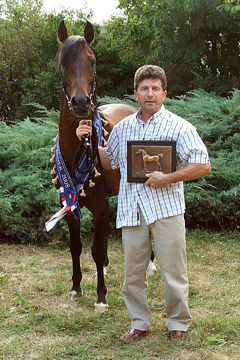 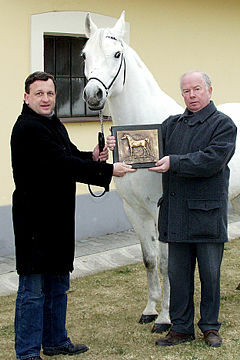 Breeder: Vlastimil Smejkal. 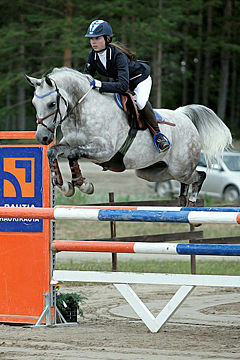 Owner: Lucie Prikrylova. 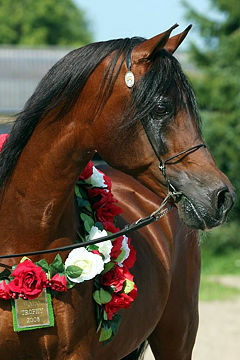 The Czech Republic’s Association for Purebred Arabian Horses (ACHPAK) is pleased to announce their 2006 WAHO Trophy winner. 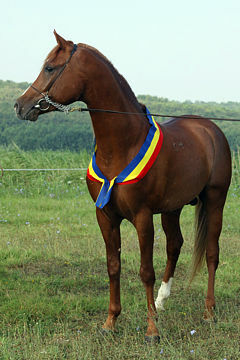 The charming gelding El Pegas has twice been the Czech National Champion in both Show Jumping and Dressage, with Junior riders. 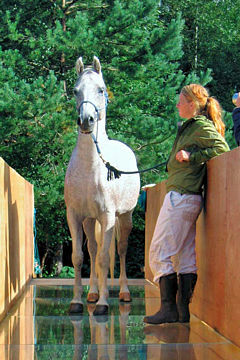 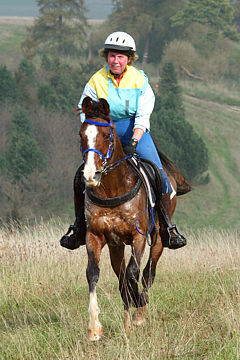 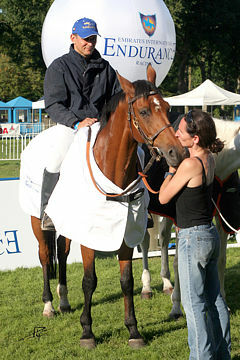 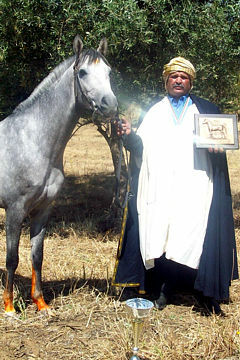 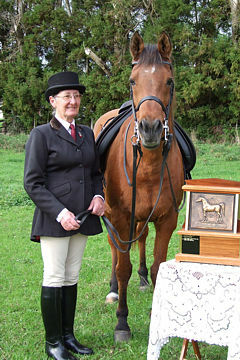 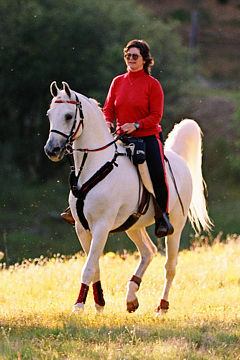 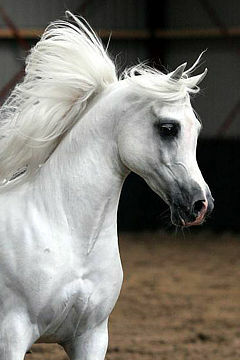 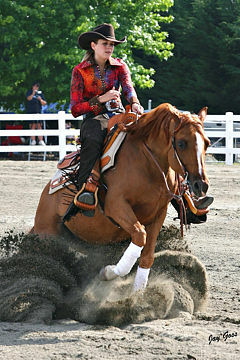 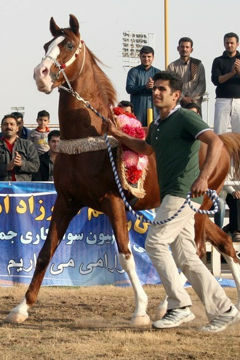 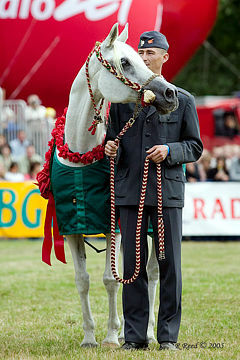 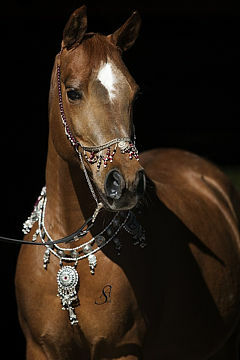 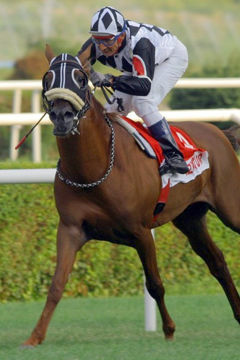 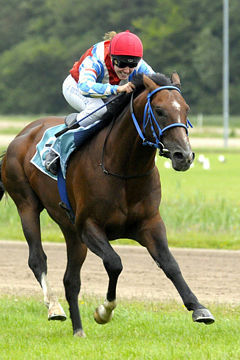 He also represented Czech Republic at the European Sport Horse Championships for Arabian horses in 2004 in Austria. 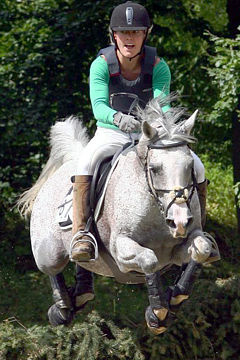 In the same year he finished in 3rd place at the A level international show-jumping competition in Austria, at Stadl Paura. 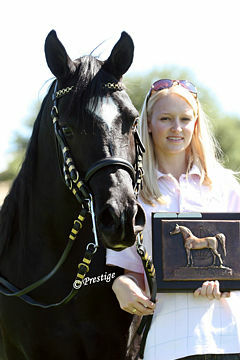 All these titles he received with his young rider, Klara Struzinska. 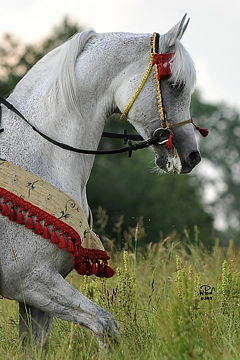 Arabian Sport Championships in Stadl Paura, Austria. 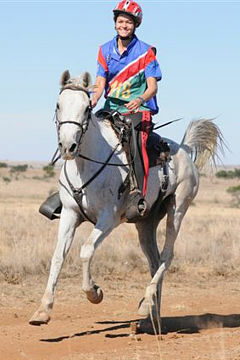 El Pegas is now a schoolmaster, he has become a teacher himself, giving all his knowledge to young riders. 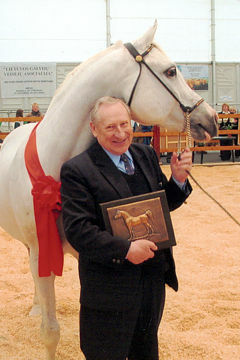 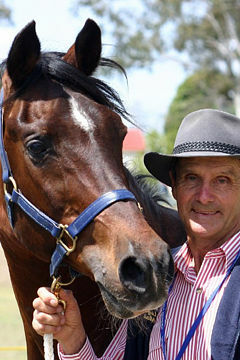 ACHPAK would like to thank him for his outstanding representation of the breed and of his country, both at home and abroad.